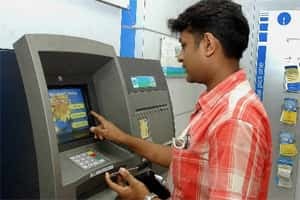 Chennai: Tata Capital, a non-banking finance company, and Aavishkaar, a private equity firm, are picking up minority stakes in Vortex Engineering Ltd, maker of low-cost automated teller machines (ATMs), according to two persons familiar with the matter. A Vortex company executive, who didn’t want to be named, confirmed that both the companies were investing a total of ₹ 50 crore. Aavishkaar and Tata Capital did not respond to emails sent by ‘Mint’. The new infusion of capital by Aavishkaar and Tata Capital is expected to help scale up the business. The company has installed and operated 500 low-cost and low-maintenance ATMs across rural India since 2007, of which 300 are solar powered. Less than 25% of India’s 45,000 ATMs are located in rural and semi-urban areas, where 70% of the country’s population live, according to Vortex. This is where the company sees growth coming from. It expects to install and operate 10,000 ATMs in the next two years. Vortex, a pioneer in rural ATM technology, was started in 2001 as an incubation project at the Indian Institute of Technology Madras by L. Kannan, a mechanical engineer. Vortex ATMs use fingerprints as an authentication measure, which helps the company serve its rural customers better.